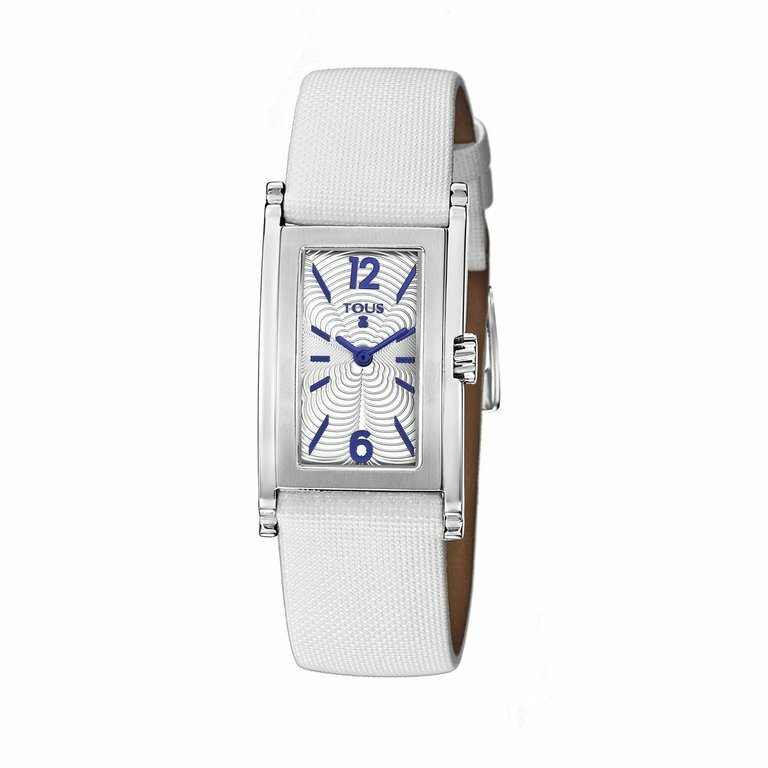 Watch girl TOUS BEVERLY with white strap and buckle in steel closing. Box HYPOALLERGENIC stainless steel water resistant 50 meters. Dial with numbers and hands blue.